Picturesque Jerusalem Scene enhances this bencher. Adorned with intricate gold accents on the cover as well as a fine gold plated border and wording. This bencher is a four-fold and fully colored in a range of soft hues. 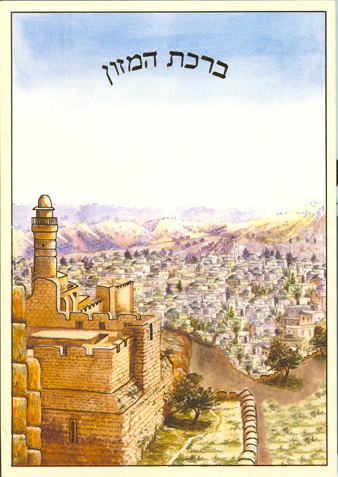 Measures 4.4 x 6.1 and includes Hebrew full Birkat Hamazon and Sheva Berachot.